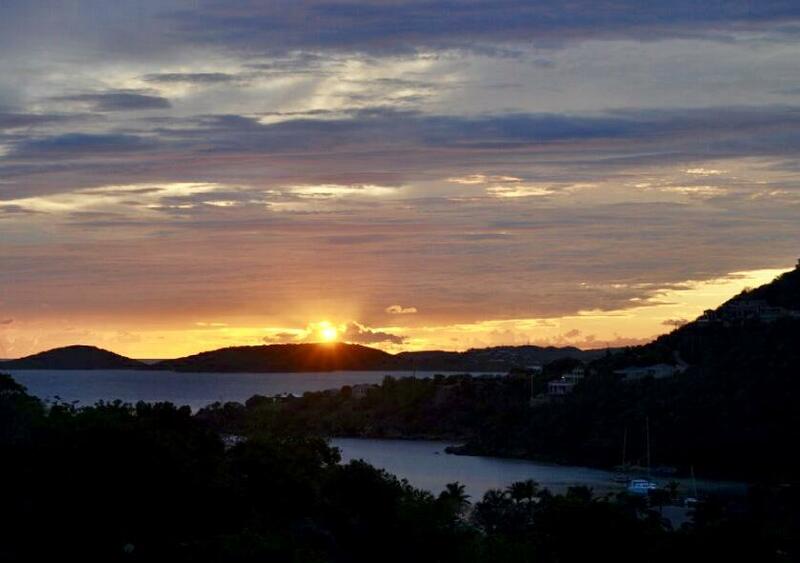 Whatever your dream, St. John has the perfect timeshare or fractional ownership for you. St. John offers a variety of resort vacation villas, timeshares and fractional ownership opportunities all around the island. Whether owning a 1, 2 or 3 bedroom vacation villa at the Westin Resort Villas, a fractional portion of a beautiful 4 bedroom home in Virgin Grande, or just a simple timeshare with a great view –weekly, monthly and quarterly options are available in available in all price ranges. Below is both our Featured St. John Timeshare & Fractional Listings, as well as all St. John MLS Timeshare & Fractional Listings to review – or just give us a call and we will give you expert advice on location, size, price, views, amenities, fees and other details to make your selecting – and purchasing – the right choice an easy process for you. Enjoy Peak Season for TWO WEEKS IN A ROW! (Week 1 & 2 Early January Dates Fri-Fri) - This three bedroom with private courtyard and pool is tastefully furnished, fully equipped and includes the full use of all the Westin amenities including pool, spas, beach facilities, tennis courts, health club, and restaurants. This unit comes with an on-site storage locker. Excellent rental options. Own your vacation! Enjoy St. John in the Spring time for an extended Easter Holiday. 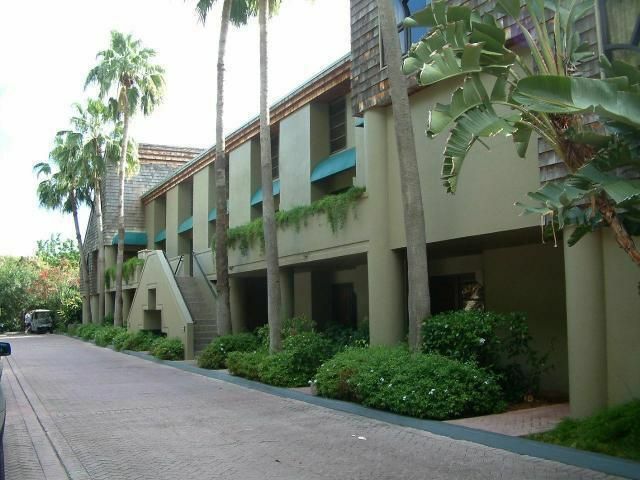 Weeks 12-16 in unit 3319 directly next to the pool--5 consecutive weeks in a two bedroom townhouse suite! Own 5 weeks and enjoy the freedom to plan a vacation or rent the weeks as needed. 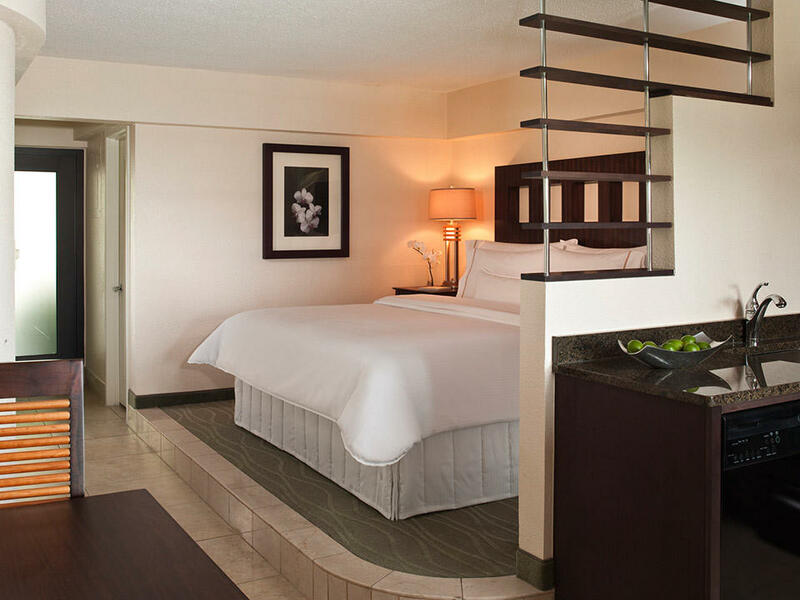 Westin ownership offers all the amenities of a resort with all the privacy and convenience of a villa. 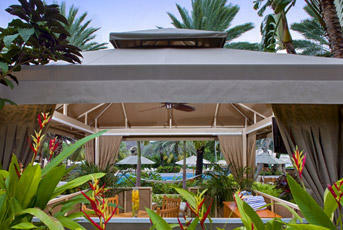 Enjoy Week 6 (early February dates) POOLSIDE at the Westin! Just steps from the pool, this two bedroom condo is part of the buildings recently converted from hotel rooms to condos. The two bedroom condo is tastefully furnished, fully equipped and includes the full use of all the Westin amenities including pool, spas, beach facilities, tennis courts, health club and restaurants. Enjoy two consecutive weeks in this spacious, two bedroom Bay Vista unit which sleeps up to 10 adults with new modern furniture, well equipped kitchen and includes the full use of all Westin Amenities. Week 9&10 are also available separately with a Friday to Friday use Cycle. Annual Condo fee includes maintenance fee, replacement reserve fee, real estate taxes and SVN dues. Enjoy Peak Season Week TWO! (Early to Mid January Dates Fri to Fri) - This three bedroom with private courtyard and pool is tastefully furnished, fully equipped and includes the full use of the Westin amenities including pool, spas, beach facilities, tennis courts, health club and restaurants. This unit comes with an on-site storage locker. Excellent rental options. Enjoy Peak Season Week ONE! 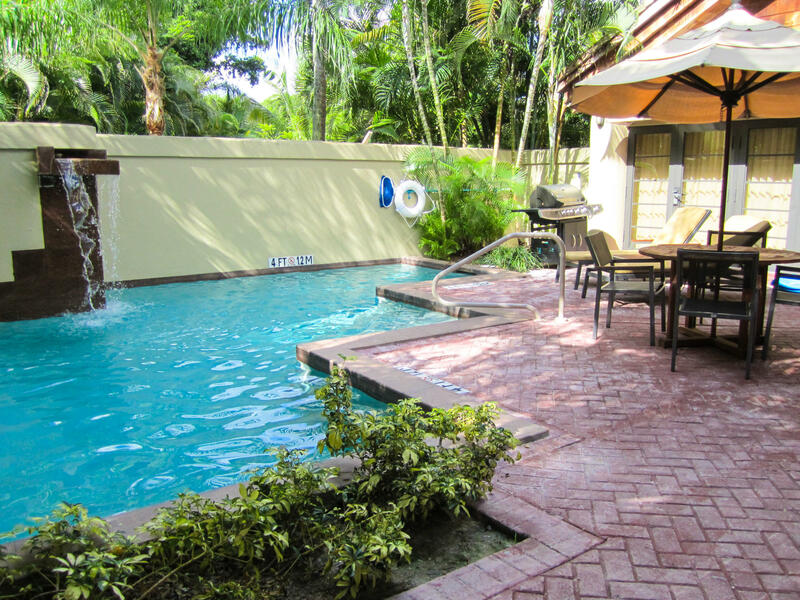 (Early January Dates Fri-Fri) - This three bedroom with private courtyard and pool is tastefully furnished, fully equipped and includes the full use of all the Westin amenities including pool, spas, beach facilities, tennis courts, health club and restaurants. This unit comes with an on-site storage locker. Excellent rental options. Enjoy Platinum Plus Floating Weeks 8&9! (Platinum Plus Weeks 1-18, 51&52) - This two bedroom loft Bay Vista unit is tastefully furnished, fully equipped and includes the full use of all the Westin amenities including pool, spas, beach facilities, tennis courts, health club, and restaurants. Excellent rental options. Each week is for sale separately as well. Remarks Enjoy a beautiful summer week in a three bedroom three and a half bath Westin Villa. This unit is luxuriously furnished (in 2017/2018 post Hurricanes Irma and Maria) in modern Caribbean fashion with stainless steel appliances, heavenly beds, handicap accessible and sleeps up to 10 people with 2 Kings, 2 Queens, 1 Sleeper sofa. 176,700 Westin ownership ''options'' may be used to book either 2 bedrooms (sleeps max 8), 2 story 2-bedroom lofts (sleeps max 8) or studios (sleeps max 4), length of time to be determined by amount of options. Square footage listed is for 2 bedroom. 2-bedroom loft is 1339 and studio is 481. 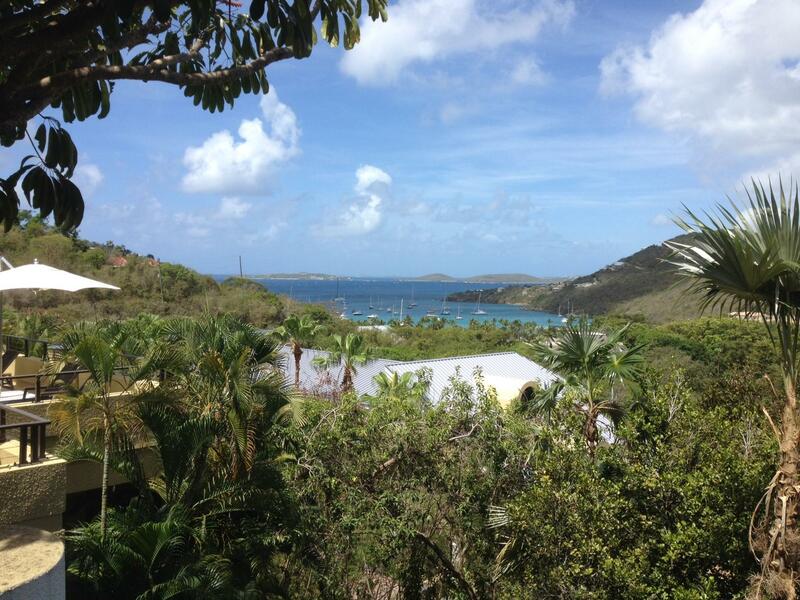 Own your own Spring time vacation in St. John! Weeks 12 and 13 in unit 3319 directly next to the pool--2 consecutive weeks in a two bedroom townhouse suite! Owner is marketing 5 consecutive weeks of ownership under MLS#14-170. 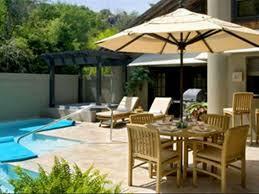 Westin ownership offers all the amenities of a resort with all the privacy and convenience of a villa. This spacious, two bedroom Bay Vista unit sleeps up to 10 adults with new modern furniture, well-equipped kitchen and includes the full use of all Westin AmenitIes. Week 9 is also available in the same unit with a Friday to Friday use cycle. Annual Condo Fee includes, Maintenance Fee, Replacement Reserve Fee, Real Estate Taxes and SVN Dues. Enjoy Week 6 (early February dates) POOLSIDE at the Westin! 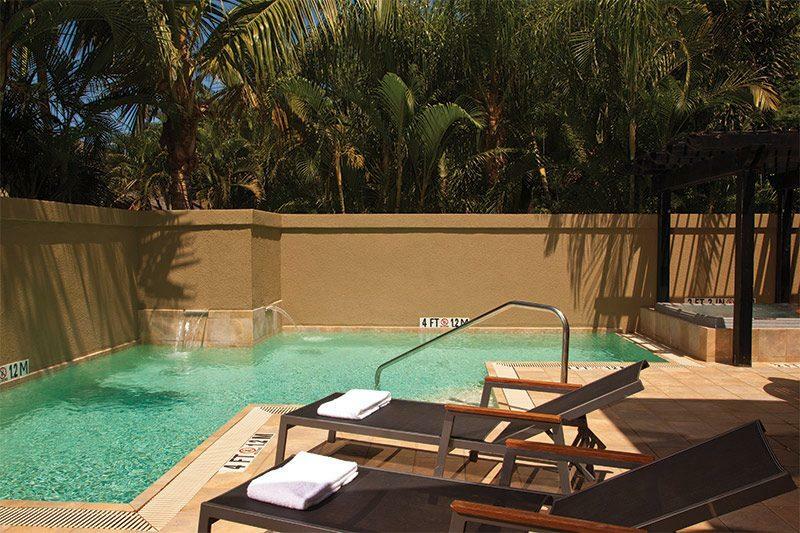 Just steps from the pool, this studio condo is part of the buildings recently converted from hotel rooms to condos. The studio is tastefully furnished, fully equipped and includes the full use of all the Westin amenities including pool, spa, beach facilities, tennis courts, health club and restaurants. Excellent rental options. Enjoy Christmas 2019 on St. John!! Week 51 December 21st to December 29th 2019. This two bedroom with is beautifully furnished, fully equipped and includes the full use of all the Westin amenities including pool, spas, beach facilities, tennis courts, health club, and restaurants. Excellent rental options. *Annual Condo Fee includes: Maintenance Fee, Replacement Reserve Fee & VSN Dues. Top floor, end unit, Building 31. Prime WEEK 1, Fri-Fri, even bi-ennial, Jan. 6th-13th 2018.Platinum Plus. Very Desirable unit with granite counters and full use of all resort amenities, such as beach, spa, tennis courts, transportation, watersports, etc. Week 22 Sun-Sun, June 2nd-June 9th, 2019 Unit 2423. Enjoy a week at the St. John Westin Resort in the sunshine in this beautiful, newer, 3 bedroom 3 bathroom unit. This beautifully appointed, fully equipped and air conditioned 3 bedroom 3 bathroom condo works well for large families or large groups of friends and is on the ''Beach side'' of the Resort. Large 3 bedroom, 3 bathroom in Bay Vista phase, guaranteed 2nd floor with view, also for sale week 27 odd & 28 annual . Platinum season from 18-34 can also be used. Large 3 bedroom, 3 bathroom in Bay Vista phase, guaranteed 2nd floor with view, also for sale subsequent week 26 odd and 27 annual. Platinum season from 18-34 can also be used. HUGE PRICE REDUCTION!! !MAKE AN OFFER! SELLER NEEDS TO SELL! !Odd Biennial Float Week 13, Platinum Plus (Weeks 1-18, 51, 52 &53), use of all resort amenities, pool, spa, tennis courts, watersports, restaurants. Buyer will have use of the townhouse unit in 2021. High season 3 bedroom 3 bathroom in Bay Vista phase Owner also selling another identical 3 bedroom, price $50000 for both - mls #19-15. Sleeps up to 10 people. High season 3 bedroom 3 bathroom which can be used during weeks 1-18, 51 & 52. Owner also selling another identical 3 bedroom, price $50000 for both - mls #19-16. Sleeps up to 10 people. Enjoy Platinum Plus Floating Week 8! (Platinum Plus Weeks 1-18, 51&52) - This two bedroom loft Bay Vista unit is tastefully furnished, fully equipped and includes the full use of all the Westin amenities including pool, spas, beach facilities, tennis courts, health club and restaurants. Excellent rental options. Enjoy Platinum Plus Floating Week 9! (Platinum Plus Weeks 1-18, 51&52) - This two bedroom loft Bay Vista unit is tastefully furnished, fully equipped and includes the full use of all the Westin amenities including pool, spas, beach facilities, tennis courts, health club, and restaurants. Excellent rental options. Platinum Plus Week 16, April 21st-April 28th, 2018, Sat-Sat. Full use of all Westin Resort Ammenities, including, transportation, beach, watersports, spa, gym, restaurants & shops. Great deal on this unit! Fractional Timeshare unit at Grande Bay. Studio Unit 2-302S is deeded for week 4 but can be used any week during high season. Also for sale is week 6. 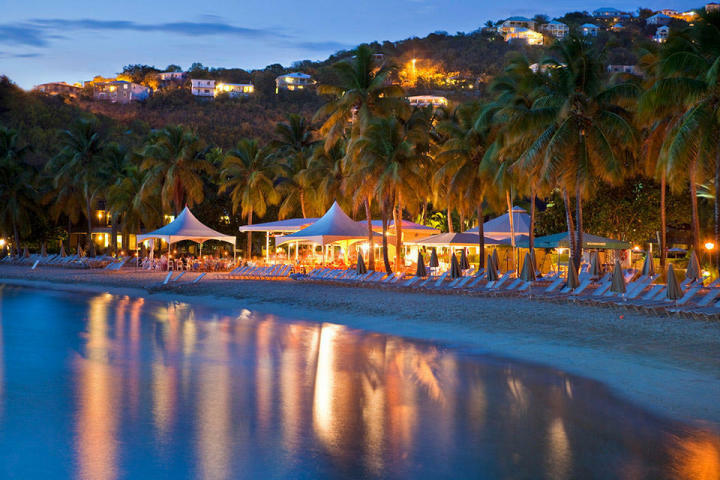 Both can be combined for a great two week escape on the beautiful island of St. John. Enjoy the wonderful location and amenities at Grande Bay every winter. Sleeps 4. This does not include the Jeep Club. Great discount on this unit! Fractional Timeshare unit at Grande Bay. Studio Unit 2-302S is deeded for week 6 but can be used any week during high season. Also for sale is week 4. Both can be combined for a great two week escape on the beautiful island of St. John. 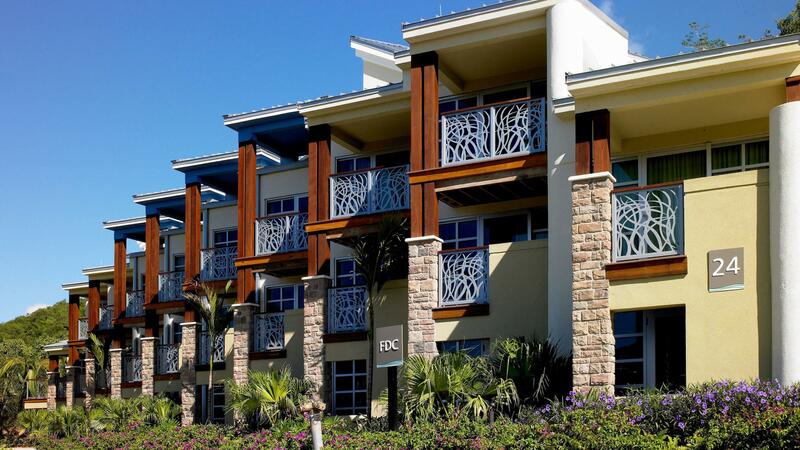 Enjoy the wonderful location and amenities at Grande Bay every winter. Sleeps 4. This does not include the Jeep Club. SPEND TWO (2) WEEKS IN PARADISE! December Week 48 and Week 49 (Sat. - Sat), Building 4111. 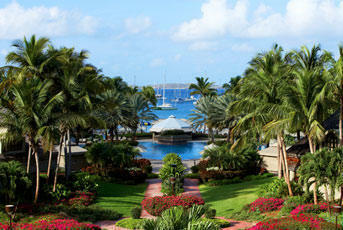 Luxuriously furnished 3 bedroom, 3.5 pool villa at the Westin Resort on St. John. Lushly landscaped courtyard setting with private pool & spa. 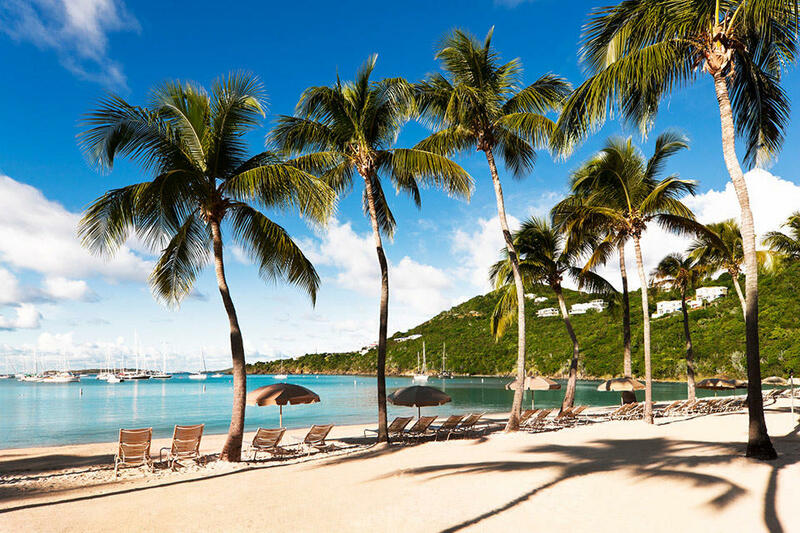 Secure your vacation Week 15 on St. John forever! 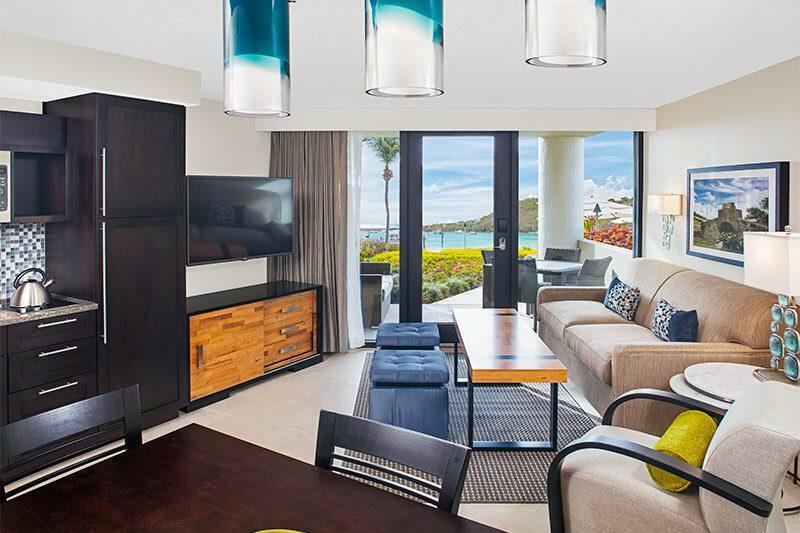 Spend APRIL 11-18, 2020 in paradise in this luxuriously furnished 3 bedroom, 3.5 pool villa at the Westin Resort on St. John. Lushly landscaped courtyard setting with private pool & spa. Outfitted in the latest Westin branded design with heavenly beds, washer & dryer, Bose stereo, and central A/C. PRICE REDUCED!Platinum Plus WEEK 11,Fri-Fri, EVEN YEARS, Bi-Annual. Enjoy this 3 bedroom/3-bathroom Westin Bay Vista Villa ,Friday arrival/departure with occupancy March 13th-20th, 2020. Week 9 Sun-Sun March 3rd-10th, 2019,Unit 3110. 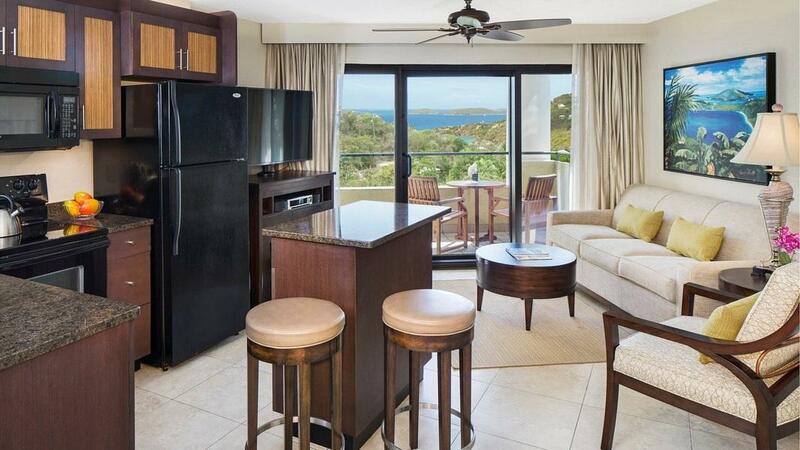 Enjoy a week at the St. John Westin Resort in the sunshine in this 2 bedroom 3 bathroom unit. This beautifully appointed, fully equipped and air conditioned 2 bedroom condo has 2 full bathrooms and a sofa bed in the living room so the unit can comfortably sleep 6 adults. 148,100 Westin ownership ''options'' may be used to book either 2 bedrooms (sleeps max 8), 2 story 2-bedroom lofts (sleeps max 8) or studios (sleeps max 4), length of time to be determined by amount of options. Square footage listed is for 2 bedroom. 2-bedroom loft is 1339 and studio is 481. Week 35,Sun-Sun, Sept 2nd-Sept.9th,2018 Unit 2723. 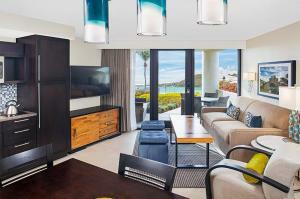 Enjoy a week at the St. John Westin Resort in the sunshine in this beautiful, newer, 3 bedroom 3 bathroom unit. This beautifully appointed, fully equipped and air conditioned condo works well for large families or large groups of friends and is on the "Beach side" of the Resort. Enjoy Spring Week 17! (Sun-Sun Late April/Early May) This three bedroom condo with private courtyard and pool is tastefully furnished, fully equipped and includes the full use of all the Westin amenities including pool, spas, beach facilities, tennis courts, health club & restaurants. Excellent rental options and trade potential. Enjoy Spring Week 17! (Fri-Fri Late April/Early May) This three bedroom condo with private courtyard and pool is tastefully furnished, fully equipped and includes the full use of all the Westin amenities including pool, spas, beach facilities, tennis courts, health club & restaurants. Excellent rental options and trade potential. Enjoy Spring Week 16! (Sun-Sun Mid April) This three bedroom condo with private courtyard and pool is tastefully furnished, fully equipped and includes the full use of all the Westin amenities including pool, spas, beach facilities, tennis courts, health club & restaurants. Excellent rental options and trade potential. Enjoy High season floating week- Weeks 51-52 and 1-18 in this DIAMOND level two bedroom two bath condo. 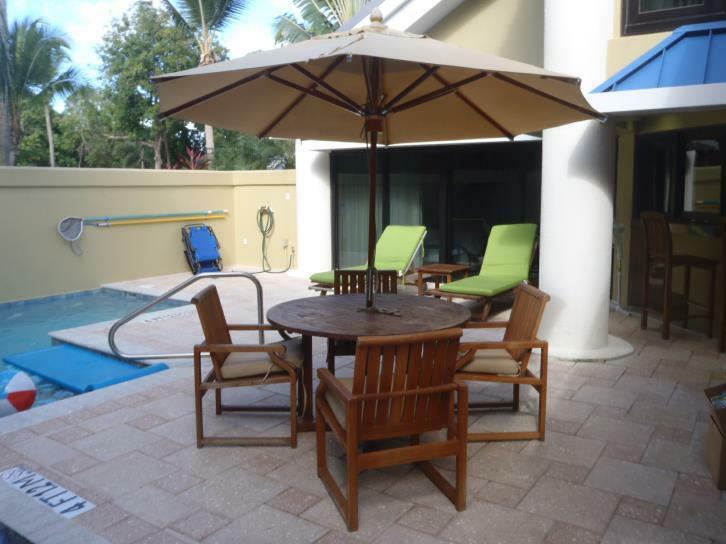 Beautifully appointed, fully equipped and conveniently located steps to the beach and pool. Includes the full use of all the Westin amenities including pool, spas, beach facilities, tennis courts, health club & restaurants. Excellent rental options & trade potential. Unit 3116, Week 16 Sat-Sat. Available for buyers use in 2019! Own your vacation in this luxury 2 bedroom, 2 bath condo, plus sleeper sofa (sleeps 6). This comfortable one-level unit has two (2) balconies. The unit has been recently totally refurbished with new appliances, new furniture, paint, and new carpeting. Central A/C and washer & dryer. Enjoy Late Fall Week 44! (Fri to Fri Early November) - This one bedroom condo is tastefully furnished, fully equipped and includes the full use of all the Westin amenities including pool, spas, beach facilities, tennis courts, health club, and restaurants. Excellent rental options. *Annual Condo Fee includes: Maintenance Fee, Replacement Reserve Fee, Property Taxes and VSN dues. This spacious, three bedroom bay vista unit sleeps up to 10 adults with new modern furniture, well equipped kitchen, and includes the full use of all Westin Amenities. Enjoy Week 1, Platinum Plus, Odd Biennial usage. Annual condoFee Includes maintenance fee, replacement reserve fee, real estate taxes and SVN Dues. Large 3 bedroom, 3 bathroom in Bay Vista phase, guaranteed 2nd floor with view, also for sale subsequent weeks 27 & 28. Platinum season from 18-34 can also be used. Enjoy Prime Week 8! (Sat-Sat Late Feb/Early March dates) - This one bedroom condo is tastefully furnished, fully equipped and includes the full use of all the Westin amenities including pool, spas, beach facilities, tennis courts, health club & restaurants. Excellent rental options and trade potential. *Annual Condo Fee includes: Maintenance Fee, Replacement Reserve Fee & VSN Dues. PLATINUM WEEK! Secure Week 45 (Sun. - Sun.) on St. John forever! Spend a November week in paradise in this luxuriously furnished 3 bedroom, 3.5 pool villa at the Westin Resort on St. John. Lushly landscaped courtyard setting with private pool & spa. Outfitted in the latest Westin branded design with heavenly beds, stainless steel appliances, Bose stereo, and central A/C. Enjoy Prime Week 7! Usually falls on President's Week! (Sat-Sat Mid to late February dates) - This studio condo is tastefully furnished, fully equipped and includes the full use of all of the Westin amenities including pool, spas, beach facilities, tennis courts, health club, & restaurants. Excellent rental options and trade potential. 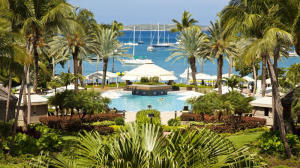 Enjoy a perfect vacation on St. John during the prime DIAMOND season in the Westin's Coral Vista section of the resort. Annual Float Use, Diamond Season, Weeks 1-18, 51&52. Total of 148,100 Ownership Points. Excellent rental options. *Annual Condo Fee includes: Maintenance Fee, Replacement Reserve Fee, Property Taxes & VSN Dues. *Photos may not be of actual unit. Westin Resort Bay Vista 2/bedroom loft unit with 3 full bathrooms. Gold Plus Annual Float for weeks 34-50. Fri, Sat or Sunday check in/out. Sleeps 6 people comfortably. Use of all resort amenities. Annual FIXED Week 14 in this stylish single level 2 bedroom Westin Bay Vista Villa - Unit 2433, Sat to Sat, April 6th-13th, 2019. This tastefully furnished, spacious & air-conditioned 2 bedroom condo has a king master suite w/a huge bath, walk-shower, separate garden tub & duel sinks, the guest suite has two double beds & full bath. PLATINUM PLUS WEEK 12, SAT-SAT,townhouse unit includes use of all resort amennities, including watersports, spa, fitness center, shops, restaurants and transportation. PRICE REDUCED! GOLD WEEK 23, UNIT 4211, SAT-SAT. June-8th-15th 2019,Luxurious, 3-bedroom, 3 bath private pool (with waterfall) villa, Latest Westin branded designs. Jetted tub in master bath, Granite counters, BBQ, central A/C, Bose stereo system w/DVD. Master bedroom on main level has doorsopening to the private courtyard. Two guest bedroom suites located on upper level. Enjoy Late Winter Week 6 Every Other Year! (Sun-Sun Mid February Dates Even Biennial) - This two bedroom condo is tastefully furnished, fully equipped and includes the full use of all the Westin amenities including pool, spas, beach facilities, tennis courts, health club and restaurants. Excellent rental options. *Annual Condo Fee includes: Maintenance Fee, Replacement Reserve Fee & VSN Dues. Enjoy Late Winter Week 8! (Sun-Sun Late February Dates) - This two bedroom condo is tastefully furnished, fully equipped and includes the full use of all the Westing amenities including pool, spas, beach facilities, tennis courts, health club, and restaurants. Excellent rental options. *Annual Condo Fee includes: Maintenance Fee, Replacement Reserve Fee & VSN Dues. Enjoy the Quiet Season During Weeks 38 & 39 Every Other Year! (Mid to Late Sept. Dates) - This two bedroom unit is newly constructed with modern furnishings, fully equipped and includes the full use of Westin amenities including the pool, spas, beach facilities, tennis courts, health club and restaurants. Excellent rental options. PLATINUM WEEK! Secure Week 49 (Sat. - Sat) on St. John forever! Spend a December week in paradise in this luxuriously furnished 3 bedroom, 3.5 pool villa at the Westin Resort on St. John. Lushly landscaped courtyard setting with private pool & spa. Outfitted in the latest Westin branded design with heavenly beds, master suite on the first level, junior suites on the second level. Enjoy a guaranteed January week 4 in beautiful Coral Vista phase at the Westin St. John. Beautiful studio with ocean view sleeps 4. Also for sale weeks 3, 5 & 6 for a full month in the Winter. 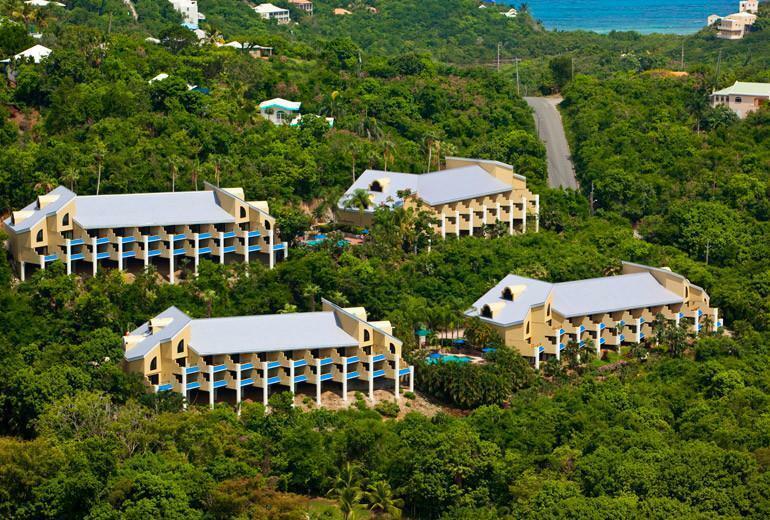 Enjoy a guaranteed January week 5 in beautiful Coral Vista phase at the Westin St. John. Beautiful studio with ocean view sleeps 4. Also for sale weeks 3, 4 & 6 for a full month in the Winter. Enjoy High season at the Westin in Coral Vista, fixed week 6, also available weeks 3, 4 & 5, spend a month in the same unit! 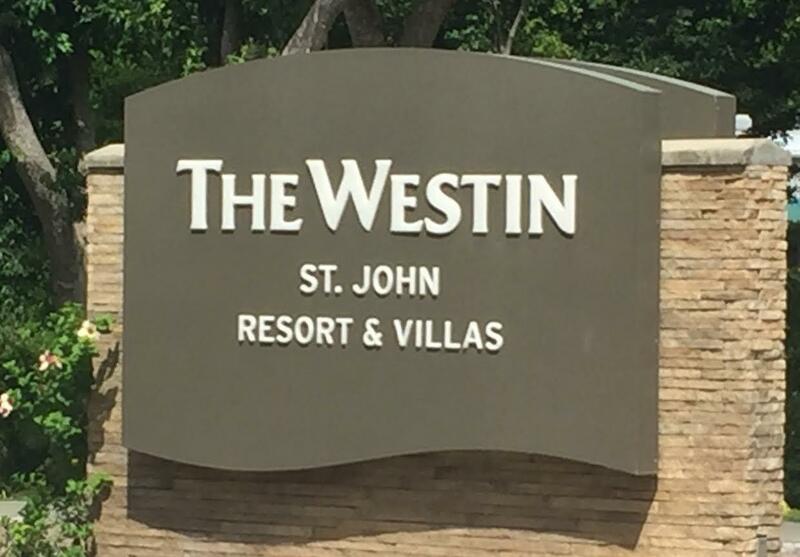 Can also access weeks 1-18, 51 & 52 at the Westin St. John. 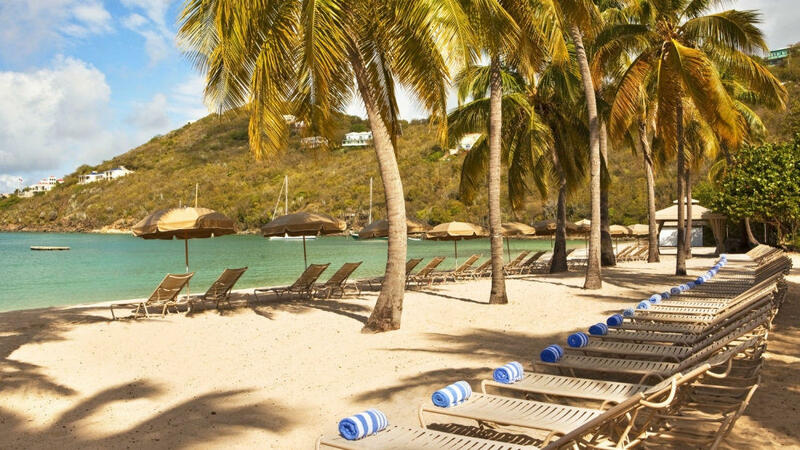 Enjoy a guaranteed January week 3 in beautiful Coral Vista phase at the Westin St. John. Beautiful studio with ocean view sleeps 4. Also for sale weeks 4, 5 & 6 for a full month in the Winter. Westin St John Resort Vacation Club, Coral Vista studio Diamond Season. Annual floating wks 1-18, 51 & 52. 81,000 StarOptions, Christmas-May w/flexible arrival/departure days & number of nights. Owners can reserve time 12 months out. Annual fee covers: Maintenance Fee, Replacement Reserve Fee, SVN Dues, property tax. PLATINUM WEEK! Secure Week 48 (Sat. - Sat, Building 4111) on St. John forever! Spend a December week in paradise in this luxuriously furnished 3 bedroom, 3.5 pool villa at the Westin Resort on St. John. Lushly landscaped courtyard setting with private pool & spa. PRICE REDUCED MOTIVATED SELLER!Gold Week 36, Unit 3228, Sat-Sat, Sept. 8th-15th 2018. 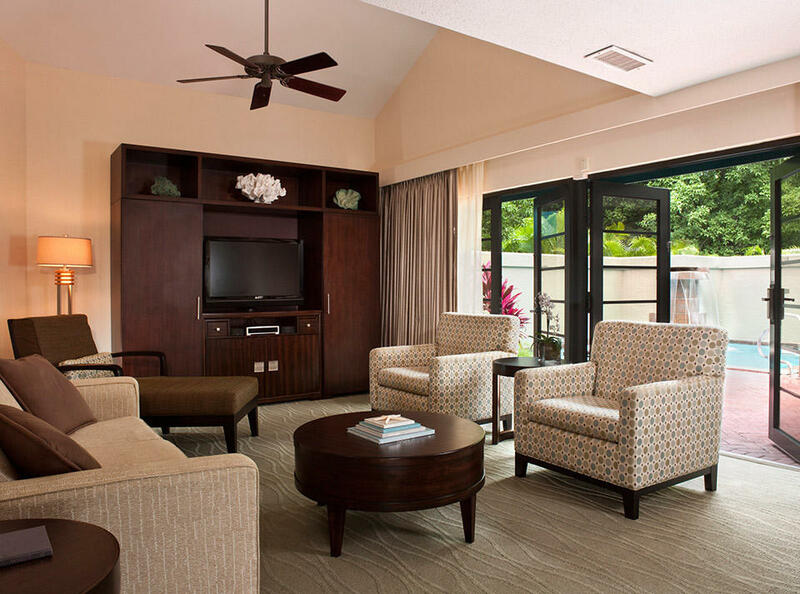 Enjoy all the amenities of the Westin Resort. Unit 3221, Week 29 Friday to Friday (July 20-27). Available for buyers use in 2019! 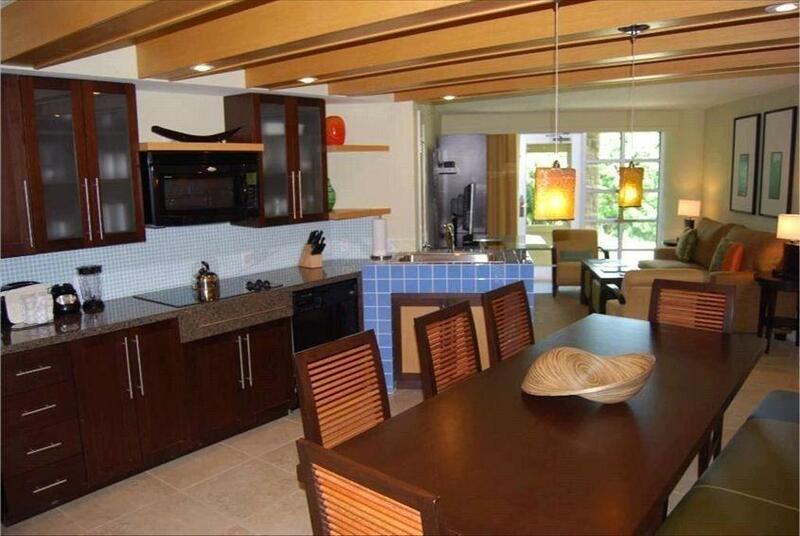 Own your vacation in this 2 bedroom, 3 bath Premier end unit townhouse on two levels, with views of Great Cruz Bay. 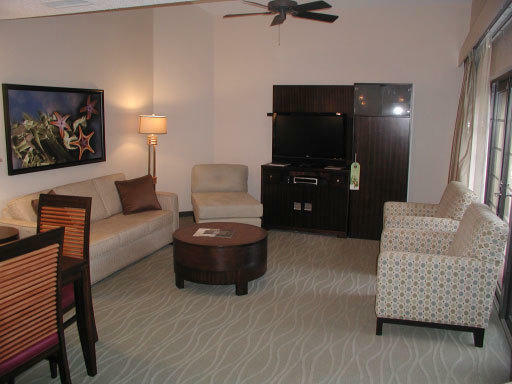 Luxuriously furnished and fully equipped, just bring a bathing suit! Outfitted in the latest Westin branded design with heavenly beds, Bose stereo, W&D, and central air-conditioning. Enjoy Late Fall Week 45! (Fri-Fri Early November) - This studio condo is tastefully furnished, fully equipped and includes the full use of all the Westin amenities including pool, spas, beach facilities, tennis courts, health club, and restaurants. Excellent rental options. 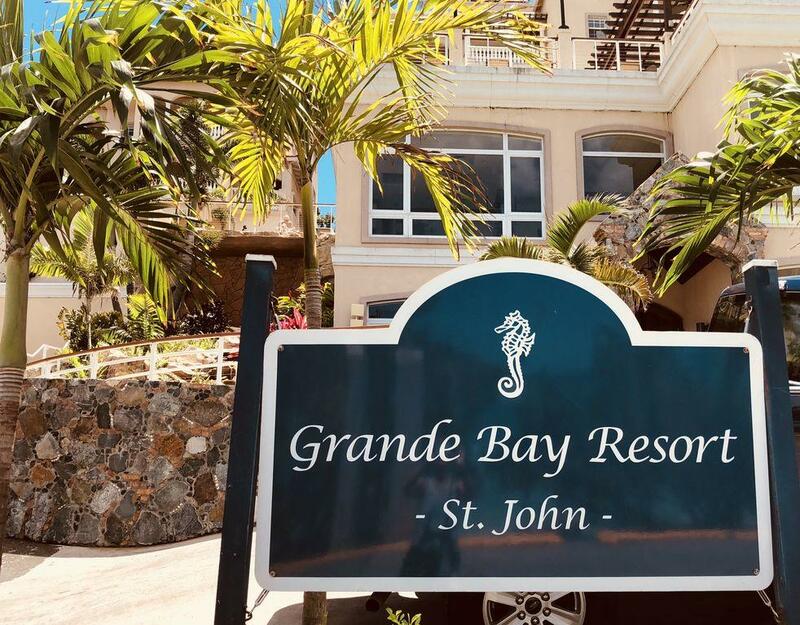 **New Listing**Enjoy week 46 (November) in this 2 king bedroom 3 bath Hillside unit at the beautiful Westin Resort on St. John. Sleeps six with a queen pullout sofa. Convenient parking right outside your door. Platinum Week 33, 2-bedroom, Sat-Sat, Aug. 18th-25th, 2018. Full use of all Westin Hotel amenities. Pick your week on St. John in 2017! Gorgeous BAY VISTA 3 bedroom villa. ANNUAL Floating (weeks 34-50). Gold Plus. 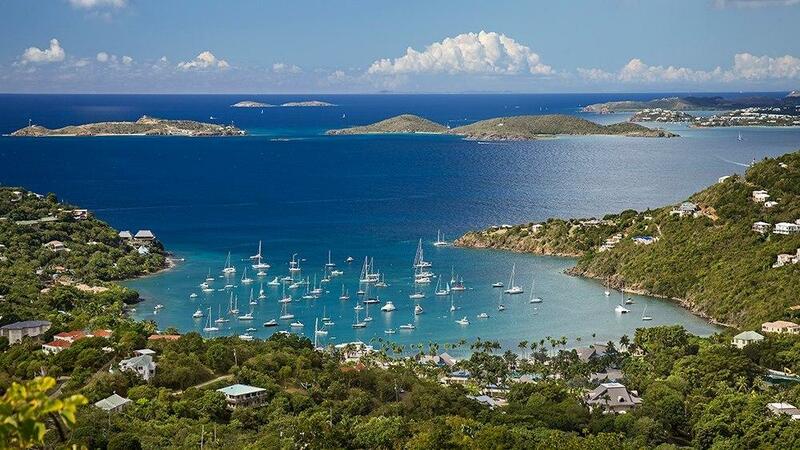 Visit St. John EVERY YEAR! Enjoy this new one level, 3 bedroom villa with stylish contemporary furnishings, flat screen TV's, stereo system, Internet, central air-conditioning, washer & dryer, and 2 furnished balconies. 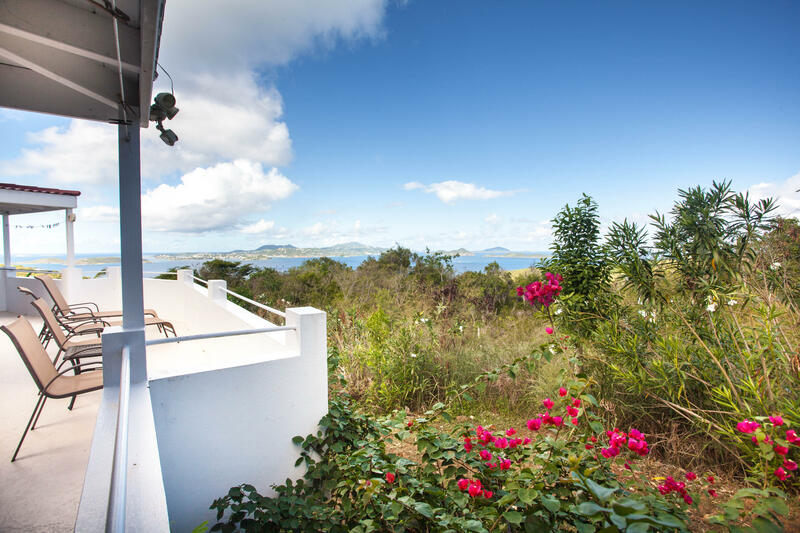 Secure Summer Week 31 (Fri-Fri) in a luxury pool villa on St. John forever! 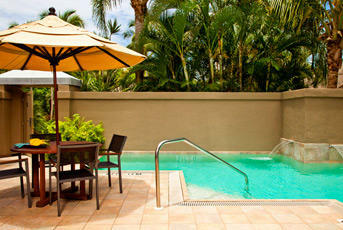 Spend a week in paradise in this beautifully furnished 3 bedroom, 3.5 bath pool villa at the Westin Resort on St. John. Lushly landscaped, private courtyard setting with private pool. Enjoy Gold Plus Floating Week 41 EVEN! (Gold Plus Week 41 Every Other Year) - This two bedroom Bay Vista unit is tastefully furnished, fully equipped and includes the full use of all the Westin amenities including pool, spas, beach facilities, tennis courts, health club and restaurants. Excellent rental options. *Annual Condo Fee includes: Maintenance Fee, Replacement Reserve Fee and VSN dues. Week 48 Sat-Sat Unit 3224. 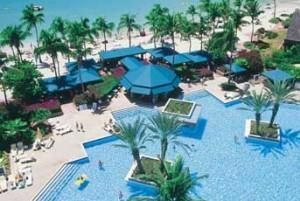 Dec. 1st-8th, 2018 Enjoy a week at the St. John Westin Resort in the sunshine in this 1 bedroom 2 bathroom unit. This beautifully appointed, fully equipped and air conditioned 1 bedroom condo has 2 full bathrooms and a sofa bed in the living room so the unit can comfortably sleep 4 adults. 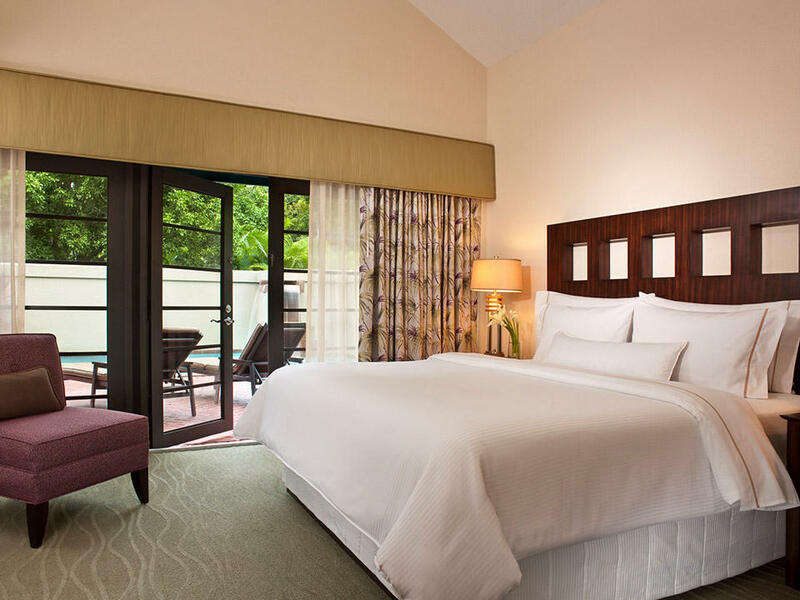 Enjoy week 45 (November) in this 2 king bedroom 3 bath Hillside unit at the beautiful Westin Resort on St. John. Sleeps six with a queen pullout sofa. Convenient parking right outside your door. Enjoy Spring Week 12! (Fri-Fri Late March) This studio condo is tastefully furnished, fully equipped and includes the full use of all the Westin amenities including pool, spas, beach facilities, tennis courts, health club, and restaurants. Excellent rental options. *Annual condo fee include: Maintenance Fee, Replacement Reserve Fee, Property Taxes & VSN dues. *Photos may not be of actual unit. Enjoy the Quiet Season During Week 39 Every Other Year! (Mid to Late Sept. 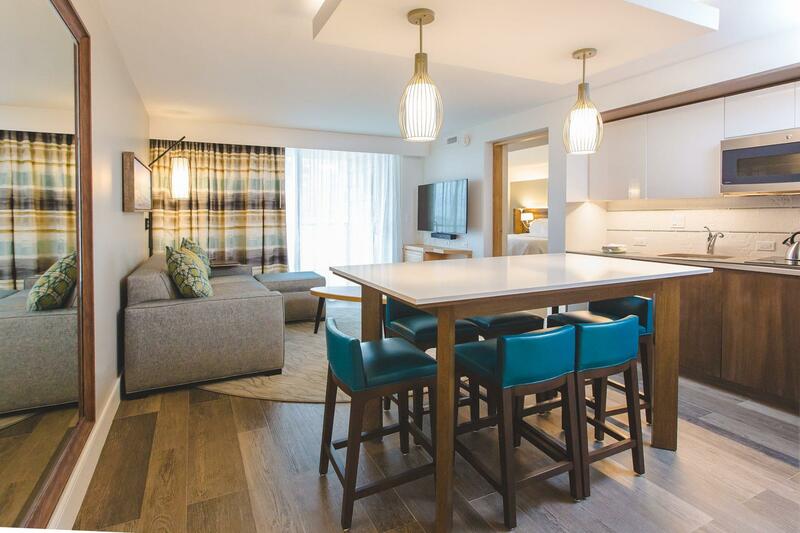 Dates) - This two bedroom unit is newly constructed with modern furnishings, fully equipped and includes the full use of all the Westin amenities including pool, spas, beach facilities, tennis courts, health club, and restaurants. Excellent rental conditions. *Note Week 38 Even in the same unit is also available for sale. Enjoy the Quiet Season During Week 38 Every Other Year! (Mid to late Sept. 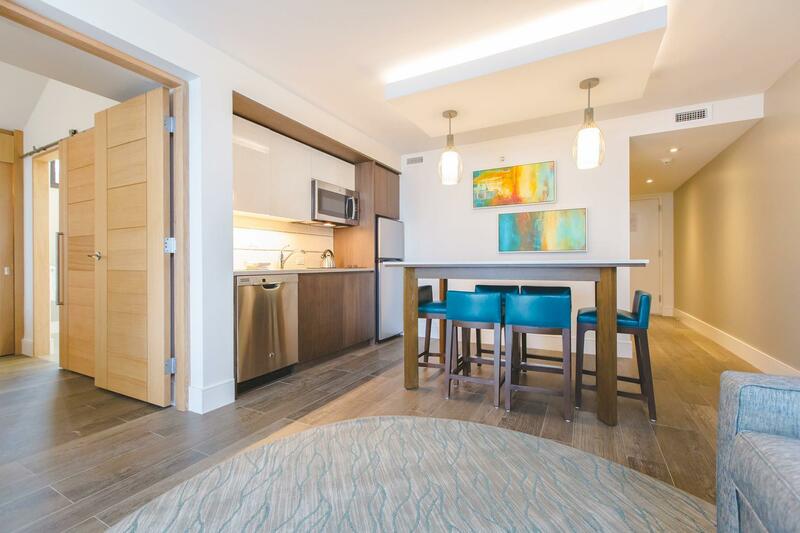 Dates) - This two bedroom unit is newly constructed with modern furnishings, fully equipped and includes the full use of all the Westin amenities including pool, spas, beach facilities, tennis courts, health club, and restaurants. Excellent rental options. *Note: Week 39 Even in the same unit is also available for sale. WEEK 47 Unit 3427! Week in November around Thanksgiving! 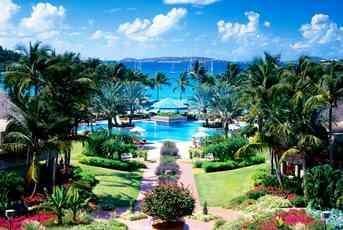 Visit St John EVERY YEAR! Great newly renovated and completely updated I Bedroom 2 Bathroom unit with stylish contemporary furnishings, flat screen TV's, stereo system, Internet, central air-conditioning, washer & dryer. 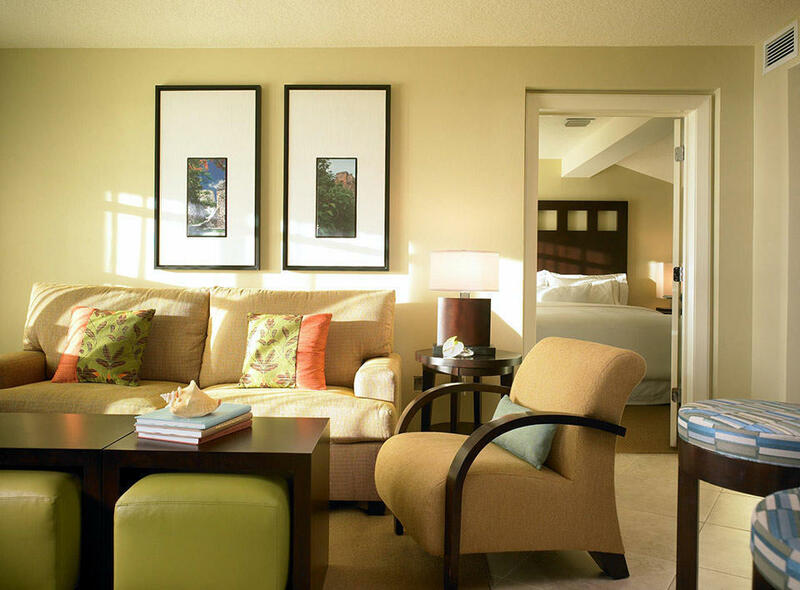 Spacious bedroom suite is beautifully appointed with ''Heavenly Beds'' and designer furnishings & linens. Enjoy fixed week 13 in a spacious 2 story 1 bedroom/2 bathroom villa at the Westin St. John, 1/4 acre swimming pool, beach access, gym, kids club. Unit has all appliances, vaulted ceilings, also worth 95,700 Westin villa options (points) which can be used to trade to all other Westin/Sheraton villas around the country such as Hawaii, Vail and Mexico during any time of year. Enjoy fixed week 14 in a spacious 2 story 1 bedroom/2 bathroom villa at the Westin St. John, 1/4 acre swimming pool, beach access, gym, kids club. Unit has all appliances, vaulted ceilings, also worth 95,700 Westin villa options (points) which can be used to trade to all other Westin/Sheraton villas around the country and Mexico during any time of year. Enjoy fixed week 15 in a spacious 2 story 1 bedroom/2 bathroom villa at the Westin St. John, 1/4 acre swimming pool, beach access, gym, kids club. Unit has all appliances, vaulted ceilings, also worth 95,700 Westin villa options (points) which can be used to trade to all other Westin/Sheraton villas around the country and Mexico during any time of year. Annual WEEK 40, FRI-FRI, OCT.
Week 49 Sat-Sat Unit 3224. EVEN YEAR EVERY OTHER YEAR. Dec. 9th-16th 2018. 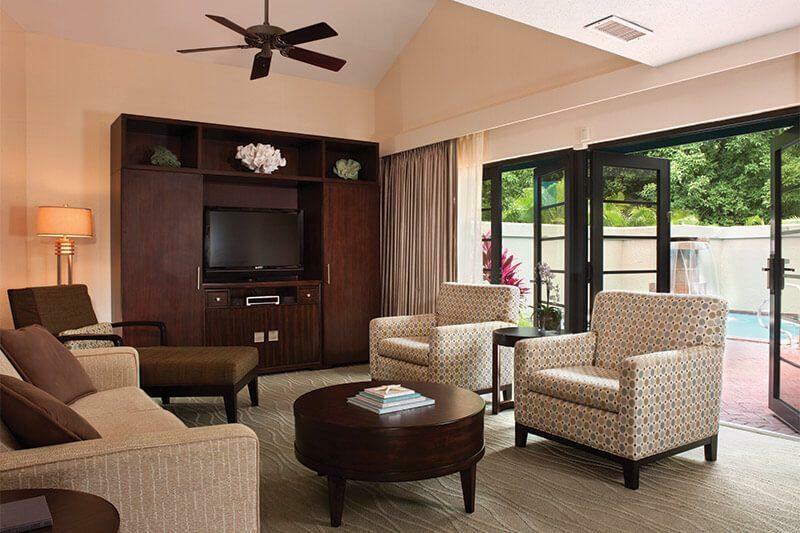 Enjoy a week at the St. John Westin Resort in the sunshine in this 1 bedroom 2 bathroom unit. This beautifully appointed, fully equipped and air conditioned 1 bedroom condo has 2 full bathrooms and a sofa bed in the living room so the unit can comfortably sleep 4 adults. HUGE PRICE REDUCTION!! !SELLER NEEDS TO SELL! MAKE AN OFFER, ANY OFFER! !Unit 2714 Bay Vista, Week 34, Gold Plus Season, Fri-Fri,Odd Biennial, Weeks 34-50. *Photos may not be of actual unit. 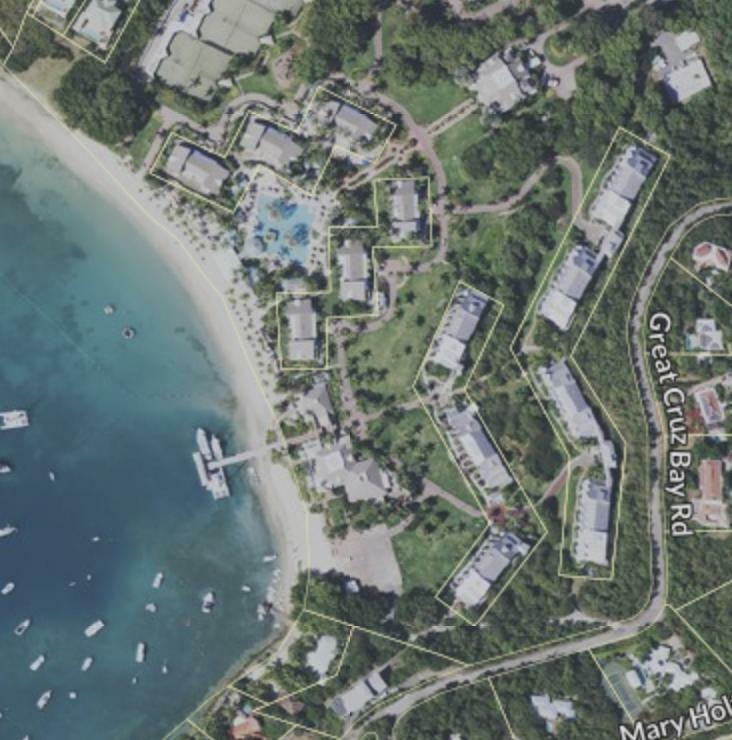 Enjoy fixed week 14 in a spacious studio / 1 bathroom villa at the Westin St. John, 1/4 acre swimming pool, beach access, gym, kids club. Unit has all appliances, vaulted ceilings, also worth 81,000 Westin villa options (points) which can be used to trade to all other Westin/Sheraton villas such as Vail, Hawaii, Scottsdale and Cabo during any time of year. Enjoy Early Fall on St. John! Week 42 Every Other Year! (Sat to Sat, late October EVEN years) - This three bedroom condo with private courtyard and pool is tastefully furnished, fully equipped and includes the full use of all the Westin amenities including common pool, spas, beach facilities, tennis courts, health club and restaurants. Excellent rental options. Enjoy Summer Week 35 (Sat-Sat; Late August-Early Sept.)! - This one bedroom condo is tastefully furnished, fully equipped and includes the full use of all the Westin amenities including pool, spas, beach facilities, tennis courts, health club & restaurants. Excellent rental options. *Annual condo fee includes: Maintenance Fee, Replacement Reserve Fee & VSN Dues. Enjoy Summer Week 23! (Early July Dates Sunday-Sunday) - This one bedroom condo is tastefully furnished, fully equipped and includes the full use of the Westin amenities including pool, spas, beach facilities, tennis courts, health club and restaurants. Excellent rental options. *Annual condo fees include: Maintenance Fee, Replacement Reserve Fee & VSN dues. *Photos may not be of actual unit. Enjoy week 16, Sat to Sat at the premier Westin location. This beautifully-appointed 1 bedroom - 2 bath unit offers great access and view. It is a fully-equipped two level condo with use of a nearby common pool and includes use of all Westin amenities including beach facilities, tennis courts, health club and spas, its many pools and restaurants. Enjoy Fall Week 44! (Sat-Sat Early November) This studio condo is tastefully furnished, fully equipped and includes the full use of all the Westin amenities including pool, spas, beach facilities, tennis courts, health club & restaurants. Excellent rental options and trade potential. *Annual Condo Fee includes: Maintenance fee, Replacement reserve fee & SVN Dues. 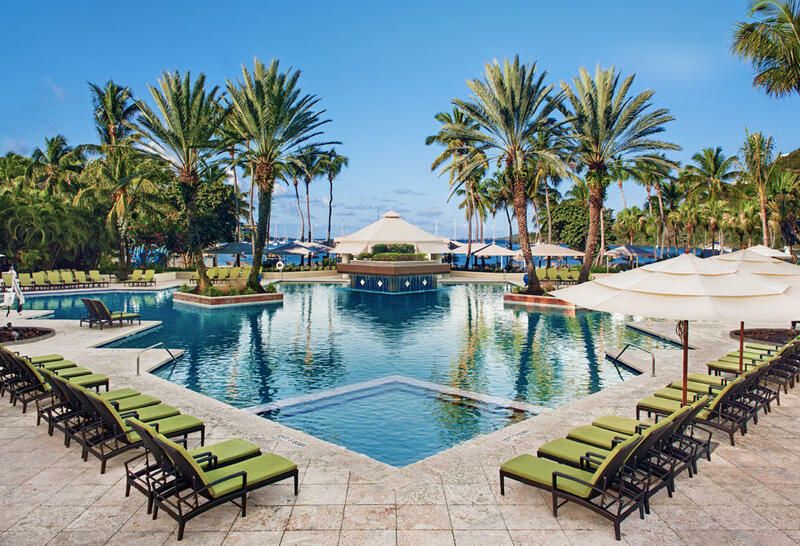 SUN-SUN, Platinum WEEK 26 JUNE 30TH-JULY 7TH, 2019 Full use of all Westin resort amenities including watersports, fitness center spa, restaurants, tennis courts. Enjoy Summer Week 35 (Sat-Sat; Late August-Early Sept)! This studio condo is tastefully furnished, fully equipped and includes the full use of all the Westin amenities including pool, spas, beach facilities, tennis courts, health club & restaurants. Excellent rental options. *Annual Condo Fee includes: Maintenance Fee, Replacement Reserve Fee & VSN Dues. *Photos may not be of actual unit.